Genworth Financial is dedicated to helping individuals and families achieve their goals in a world of shifting financial burdens. The company helps make dreams come true for families by providing mortgage insurance in the U.S. and 12 other countries, helping people secure low down-payment loans to own their own homes – many for the first time. It protects families, individually and in the workplace, with life insurance products, long term care insurance, payment protection insurance, and employee health, dental and disability coverage. Genworth Financial provides financial security with retirement income and investment products, including innovative individual and group annuities that provide people with paychecks they can’t outlive. The simplest and least expensive form of life insurance coverage is term life insurance. It provides death benefit coverage at a guaranteed premium for a specific period of time – usually five to 30 years depending upon which product you choose. Since premiums are low as compared to other types of life insurance, term life insurance is ideal for new families seeking economical protection. While term life insurance doesn’t include the ability to accumulate cash value, it can help a family maintain its lifestyle, cover college tuition and pay off a mortgage in the event of the insured person’s death. Has a low premium that is guaranteed for a selected period. At the end of the stated guaranteed period, premiums generally increase significantly to keep the policy in effect. Like term life insurance, whole life insurance pays a fixed death benefit for a fixed premium amount. Generally, if the premium is paid on time, the policy will remain in force. But, unlike term life insurance which terminates at the end of the specific period, whole life insurance continues to cover the insured throughout his or her life. In addition, whole life insurance has a cash value feature that is guaranteed. These cash values are accessible to the policyholder through policy loans for emergencies or other financial needs. Some whole life insurance policies may generate cash values greater than the guaranteed amount, depending on interest crediting rates and how the market performs. Who should consider whole life insurance? Policyholders can borrow money against the policy cash value. However, unpaid loans can affect the available death benefit and have certain tax implications if the policy is surrendered. The policyholder may elect to discontinue coverage and surrender the policy for the cash value, if any, or use existing cash value to purchase a policy with a lower death benefit amount that requires no additional premium payments. The policy may mature for its cash value at a specific time (e.g., age 95). Often the cash values are guaranteed to equal the policy death benefit at maturity. Provides for fixed premium payments throughout the life of the policy, although some policies offer options to pay a higher amount of premium for a shorter period of time. If you’re looking for a way to combine life insurance death benefit protection and cash value accumulation with flexible terms under one policy, fixed universal life insurance policies can provide the flexibility you desire. Within certain limits, fixed universal life insurance lets you adjust when and how much you pay in premiums. You also can adjust the amount of your insurance coverage in later years, although increases in coverage may require additional evaluation of your health and other factors at that time. You affect the accumulation of cash values through the amount and timing of your premium payments (see below to learn more about “cash value”). The Genworth Financial companies offer a selection of fixed universal life insurance policies to meet a variety of needs. Who should consider a fixed universal life insurance policy? Fixed universal life insurance policies have flexible premiums. A part of each premium payment is used to cover mortality costs and other administrative charges needed to support the policy. Premium paid that exceeds those costs is contributed to the cash value in the policy. Therefore, the amount of the policy cash value, if any, is directly related to the level of premium payments the policyholder chooses to make. Cash values in the policy are credited with both a guaranteed and non-guaranteed interest rate. The guaranteed crediting rate is usually between 2% and 3%, depending on the policy. Non-guaranteed crediting rates vary over time. They are determined by the insurance company and are based on the returns the company earns on its own investment portfolio. Paying a minimal premium may result in the early termination of the death benefit (the policy lapses) and no cash value accumulation. Paying a high premium amount may result in a guaranteed death benefit for life and significant accumulation of cash value. 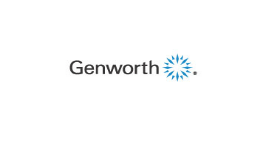 Variable universal life insurance policies offered by the Genworth Financial companies provide the flexibility of universal life insurance with a twist: you have the ability to participate in the market through underlying portfolios. As your family’s financial situation changes over time, variable life insurance allows you to select from a variety of portfolios (ranging in investment style and risk from conservative to aggressive) rather than earning a fixed rate of return. All guarantees are based on the claims-paying ability of the issuing insurance company. Guarantees do not apply to the performance of the underlying portfolios, which will fluctuate and may lose value. Who should consider variable life insurance? A common misperception is that long term care means staying in a nursing home. Today, there are other care options available. Long term care services can be divided into two types of care: home and community care and facility care. Long term care insurance typically helps pay for the long term care services you might need as the result of a chronic disease, serious accident, sudden illness, or cognitive impairment such as Alzheimer’s Disease that can limit a person’s ability to think or reason. Long term care services may be provided by a health care professional such as a nurse, a home health aide, or other personal care providers such as family members and personal care attendants. Varying amounts of care can take place in a variety of locations , ranging from a few hours of care per week in your home to round-the-clock care in a nursing home.